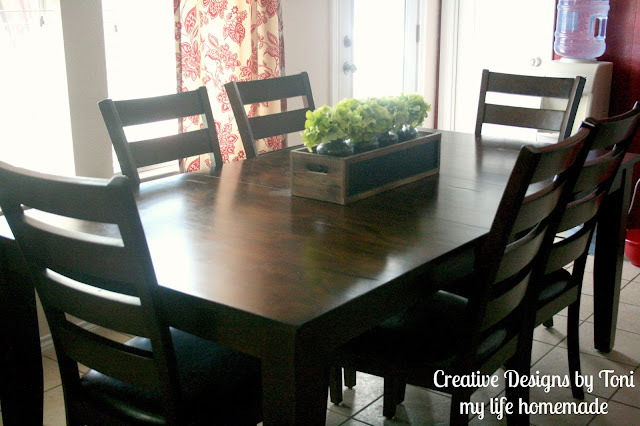 I don't know about you, but some of our best moments and memories are made around our dining room table. Great conversation about the day we had, which sometimes is hard to get out of them, homework in the afternoons, and even family game night is all held at our table surrounded by the ones we love. 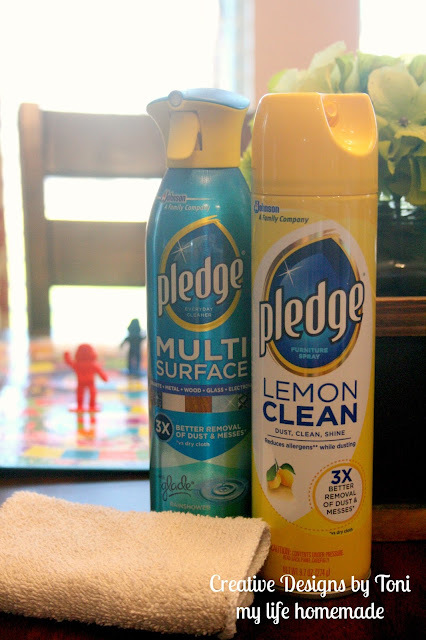 Our table is very important, if not the most important, part of our home and I rely on Pledge® Lemon Clean Spray to clean, shine, and protect our wood table. It also features Allergens Trappers® to remove dust and up to 90% of the allergens found in dust. Which is perfect since my little guy suffers from seasonal allergies. 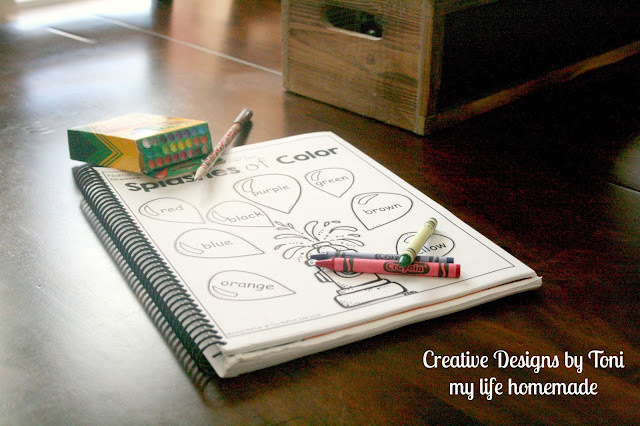 From homework and coloring, crafts and painting, cooking and helping bake up some delicious treats, it's all done on our table. It takes a beating day in and day out. It's our family hub. We gather with friends for snack time, we enjoy holiday traditions with family, and dinner time is something we always look forward to. But, with two young boys they are not exactly gentle on table. 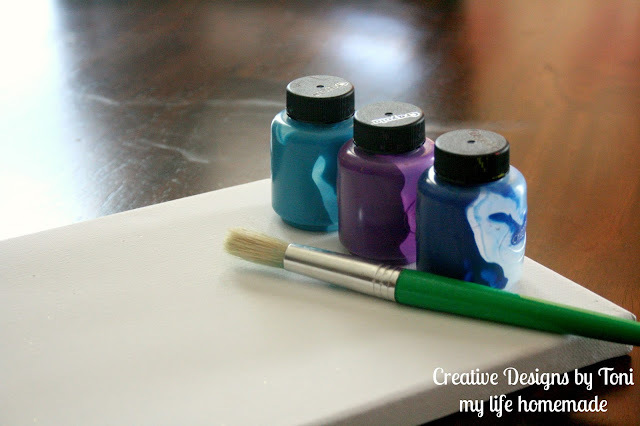 Markers run off the page, paint spills, dinner falls, and like it or not, it gets messy. 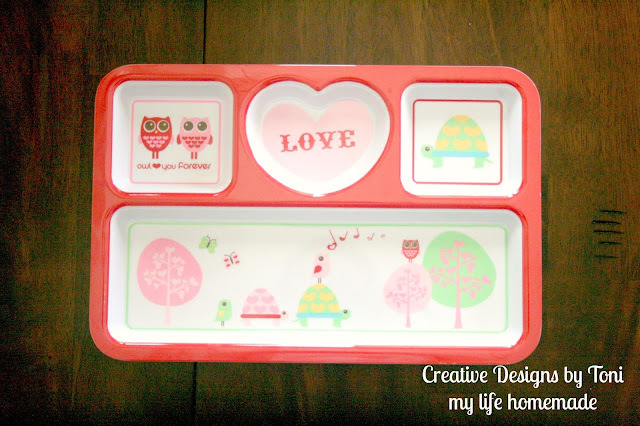 But, life happens and as a mom I need to be prepared. 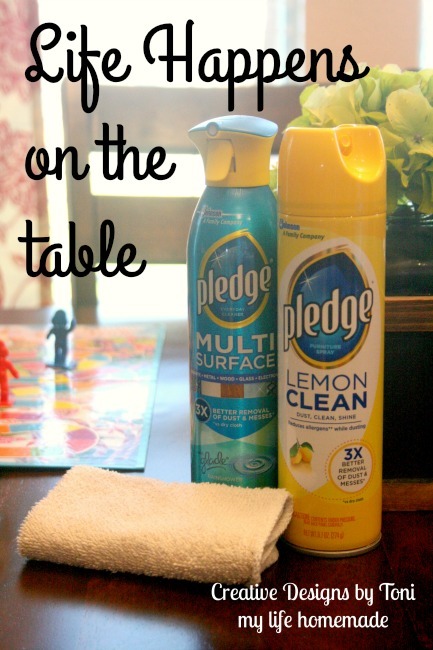 That's why I use Pledge® Lemon Clean Spray to keep our family table looking amazing as well as our other household surfaces including wood, laminate, stainless steel, leather, marble, granite and plastic. Our homes are where we eat, play, sleep, and live and what's inside is what makes it special and one of a kind. My boys are my life and I do what I can to protect them from things that may harm them and it's my job to take care of them as well as the home they live in. Pledge® Multi Surface Everyday Cleaner with Glade® Rainshower® is an all-purpose cleaner that contains a worry-free formula that cleans up smudges and messes while safely leaving the finish alone and helps clean and remove allergens in the dust that is all over the surfaces in our home. 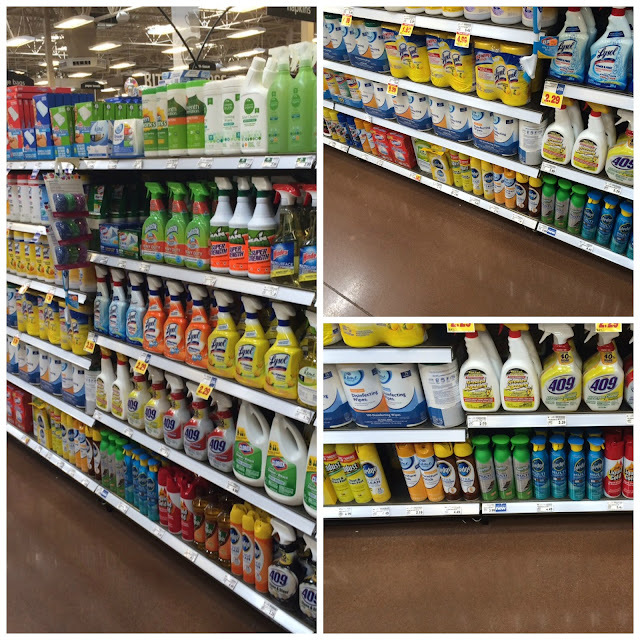 When keeping our table and home clean, we head to Kroger to pick up everything we need, including our go-to products, Pledge® Lemon Clean Spray and Pledge® Multi Surface Everyday Cleaner with Glade® Rainshower®. How do you keep your family table clean?